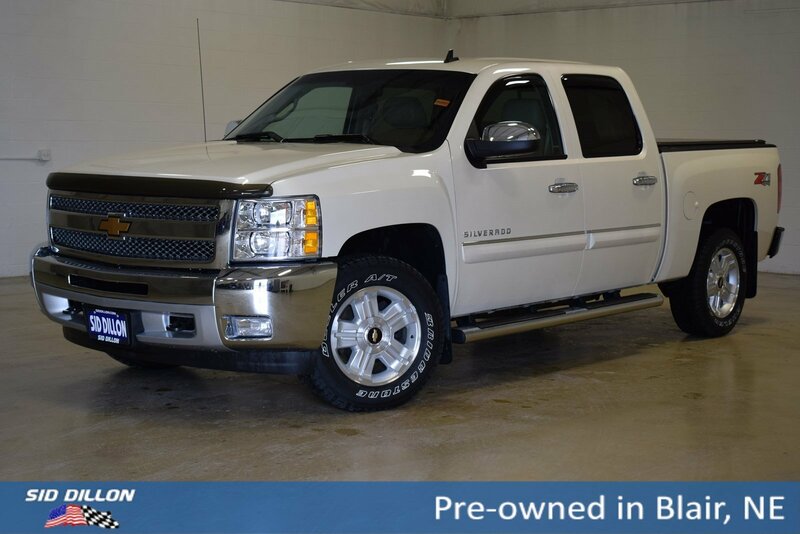 This Chevrolet Silverado 1500 has a powerful Gas/Ethanol V8 5.3L/323 engine powering this Automatic transmission. Only 48,942 Miles! 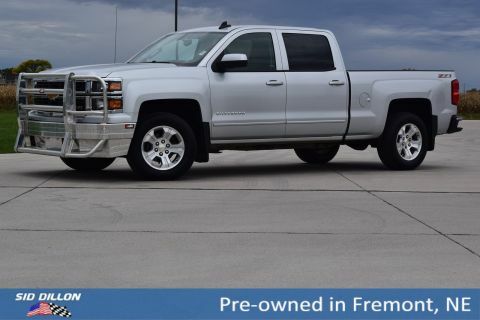 Tonneau cover, Mud flaps, Spray in Bed Liner, Leather seats, Running boards, WINDOW, POWER, REAR SLIDING, WHITE DIAMOND TRICOAT, WHEELS, 4 - 18 X 8 (45.7 CM X 20.3 CM) ALUMINUM (spare wheel will not cosmetically match the other 4 wheels). TRAILERING PACKAGE, HEAVY-DUTY includes trailering hitch platform and 2-inch receiver, 7- wire harness (harness includes wires for: park lamps, backup lamps, right turn, left turn, electric brake lead, battery and ground) with independent fused trailering circuits mated to a 7-way sealed connector, wiring harness for after-market trailer brake controller (located in the instrument panel harness) and (KNP) external transmission oil cooler (with (MYC) 6-speed automatic transmission also includes (K5L) heavy-duty cooling package and (KC4) external engine oil cooler) (Also includes (G80) heavy-duty automatic locking rear differential on Retail orders and with (WEA) Z71 Appearance Package on Fleet or Government Orders. 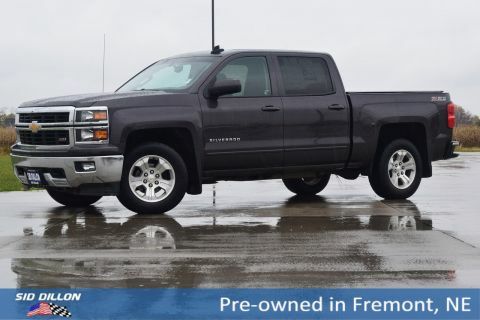 ), SUSPENSION PACKAGE, OFF-ROAD includes 1.81 (46 mm) shocks, off-road jounce bumpers, 36mm front stabilizer bar, (NZZ) Skid Plate Package, (V76) recovery hooks, (K47) air cleaner and Z71 decals on rear quarters, SKID PLATE PACKAGE frame-mounted shields, includes front underbody shield starting behind front bumper and running to first cross-member, protecting front underbody, oil pan, differential case and transfer case, HEAVY DUTY COOLING PACKAGE, HEAVY-DUTY includes (KC4) external engine oil cooler, (KNP) auxiliary external transmission oil cooler, electric fan and heavy-duty radiator, CONVENIENCE PACKAGE includes (JF4) Adjustable power pedals, (C49) rear-window electric defogger, (UD7) Rear Parking Assist, (UG1) Universal Home Remote and (AP3) Remote vehicle starter system, ALL-STAR EDITION includes Vortec 5.3L V8 SFI FlexFuel engine, (G80) heavy-duty automatic locking rear differential, (CJ2) dual-zone automatic air conditioning, (UPF) Bluetooth for phone, (UK3) steering wheel-mounted audio controls, (UUI) AM/FM stereo with CD player and MP3 playback, (AG1) driver 6-way power seat adjuster, (A60) locking tailgate, (PPA) EZ-lift tailgate, (Z82) Trailering package and (P46) 4 - 17 x 7.5 (43.2 cm x 19.1 cm) 6-lug aluminum wheels , UNIVERSAL HOME REMOTE, TRANSMISSION, 6-SPEED AUTOMATIC, ELECTRONICALLY CONTROLLED with overdrive and tow/haul mode. Includes Cruise Grade Braking and Powertrain Grade Braking, TRAILER BRAKE CONTROLLER, INTEGRATED, TIRES, P265/65R18 ON-/OFF-ROAD, WHITE OUTLINED-LETTER includes all-season 17 spare. 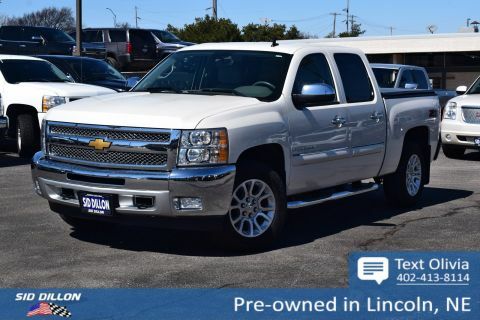 A short visit to Sid Dillon Blair located at 2261 S Hwy 30, Blair, NE 68008 can get you a dependable Silverado 1500 today!